*Location, Location, Location* Fantastic Opportunity to own a single family home in an Outstanding location in Apple Valley! Situated on over an acre, this Pool Home features 3 bedrooms Plus a Bonus room, 2 bathrooms, 2, 128 sq.ft., RV access and an Attached 3 Car Garage! Enter through the large double door entry and be greeted by beautiful beamed ceilings, step into the living room accented with a brick fireplace perfect for movie night! The spacious master bedroom has dual sinks, a walk in closet, and a door leading to the enormous backyard with a roomy covered patio and pool area! 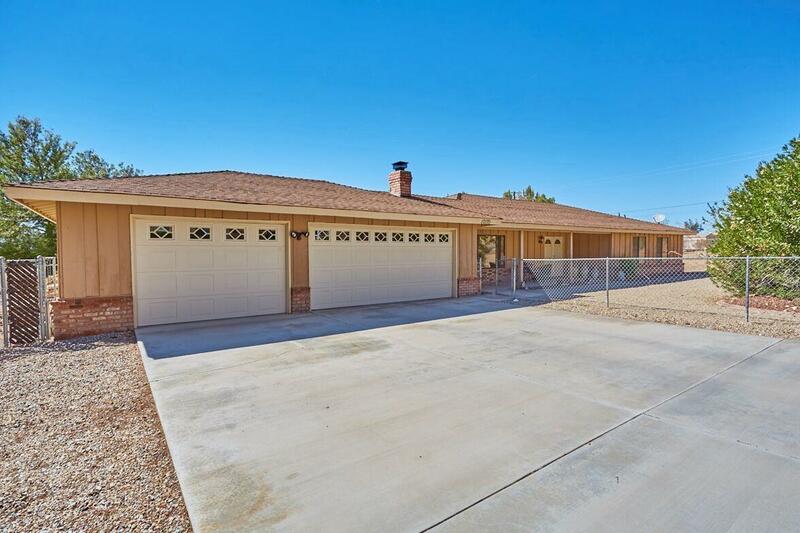 This is the perfect chance to own a home for under $270, 000 in a Desirable area of Apple Valley, View Today!